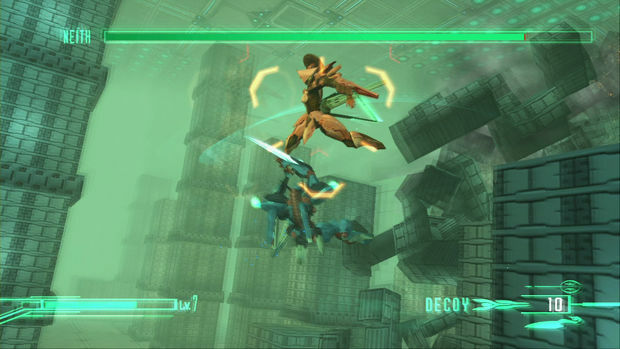 Zone of the Enders was a welcome departure from Hideo Kojima's legendary brainchild Metal Gear Solid back in 2001. While a stark contrast to tactical espionage action, Z.O.E. always weirdly felt like it could easily fit into MGS' universe and fiction, no doubt stemming from Yoji Shinkawa's beautiful design on the games' mecha. 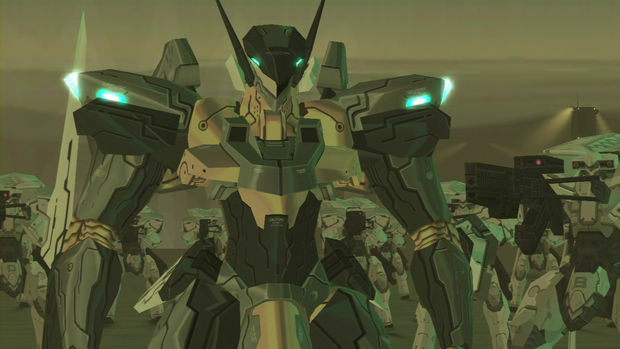 The series isn't perfect, but anyone who played either Zone of the Enders or Zone of the Enders: The 2nd Runner certainly remembers their time with the titles. This has kept a strong following for the series and demand for a third entry, which has finally started development as of May this year. Now we have the solid Zone of the Enders HD Collection to help tide us over until the aforementioned project is in our hands. If you're intimately familiar with these games after playing them countless times on your PlayStation 2, yes, these are the exact same games you remember. They stay true to the originals by keeping the exact same content, but upgrading the textures, smoothing out the jaggies, and expanding the aspect ratio to widescreen. These are the games you know and love, looking more beautiful than ever before. Read on for more technical details. 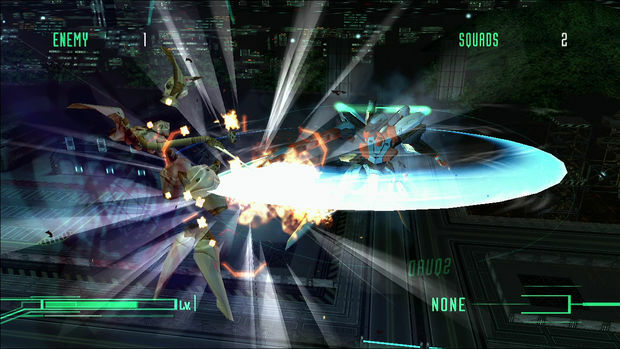 The first Zone of the Enders was developed concurrently alongside Metal Gear Solid 2. Even back in 2001, it was clear which was neglected in design and budget. The story was a mess and, frankly, wasn't interesting at all (voice acting was equally painful to listen to). It follows Leo as a group of his friends are killed, and he happens upon Jehuty (your Orbital Frame from here on out) and its AI A.D.A., where they go on adventure not unlike Zelda where you must find particular upgrades so the ship can leave the Jupiter colony installation in one piece. The climax never really comes to a satisfying resolution, and the player can never really feel bothered to care for the characters. It was the gameplay and the visuals that kept players invested. I can even recall a time when I thought it was the best-looking game I ever saw up to that point. Combat was quick, sleek, and made the player feel like a badass. Even though the player never meets any new enemies, and the camera can prove to be a problem occasionally, fighting always felt right. There is nothing quite as satisfying as pulling out insane combos with your sword, backing off to fire a few shots, boosting to the side to launch some rockets, and finishing it all off with a final strike. All in beautiful HD now, to boot. 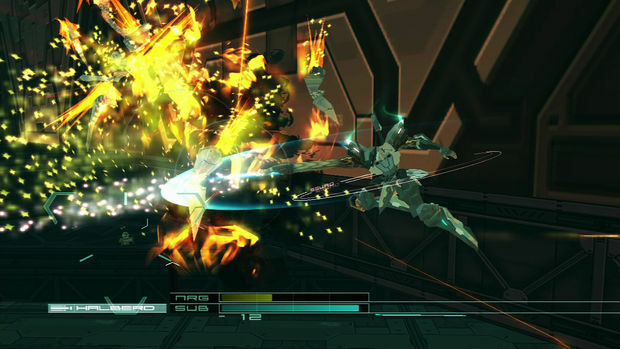 No other game (that I know of) to this day plays like Zone of the Enders. It holds up remarkably well, save for the awful story and voice acting. The game's aesthetic looks better than it ever has -- colors just pop with the increased resolution. Only the game's cinematics were not able to receive the HD treatment. But really, there isn't much reason to watch them anyway. Flash forward ahead to 2003, and Zone of the Enders: The 2nd Runner took everything that was said about the first Z.O.E. 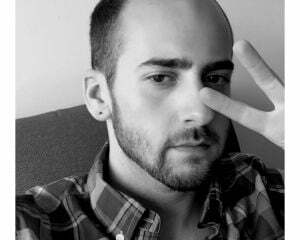 above, but multiplied it by ten. Even the PS2 version still looks gorgeous now. Kojima Productions went with a cel-shaded look where particle effects glow and shine through all of the action perfectly, and there's much more variety in the environments which all helps to create a perfect storm of eye candy in HD. The anime cinematics were also redone in full HD this time around, so nothing was left untouched when it came out of its time capsule. The story and voice acting are slightly better in this sequel, but there's still not much that can be said about them. It's all very forgettable. Again, it's the gameplay that makes all of the same problems passable. Combat moves much, much faster than in the first title, and the game will throw many more enemies at you than before. Good thing Jehuty has a revitalized moveset and array of weapons to take care of them like it's nothing. This is the best way to experience mecha action that no other game can offer like Z.O.E. But if you just want to catch up on the series, High Voltage Software did an amazing job bringing these cult classics up to speed on the Xbox 360. Be warned, however, that the PlayStation 3 version (which we did not play for review) is well-documented to have a significantly lower performance. If you're an old fan, dedicated fan, or a would-be brand new fan of the series, Zone of the Enders HD Collection is easily worth your time and money, especially with the inclusion of the Metal Gear Rising: Revengeance demo and The 2nd Runner alone.